This was a trip for the record books, first day we fished in Lake Toho and the second day we fished the private lakes. George and Ken had one of the best fishing trips ever. 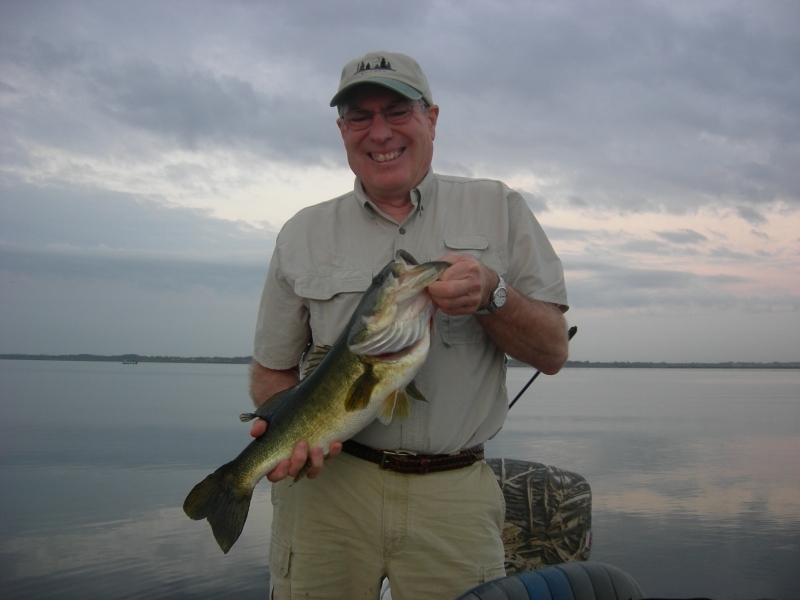 Today on Toho we caught at least 25 fish up to 91/2 lbs. We burned up 5 1/2 dozen golden shiners. The rain made us quit earlier otherwise we would still be there hauling them in. It had not rained for 37 straight days in our area, today when the front came in, it turned the fish on big time. Hope everybody enjoys looking at these pictures Nice fish!